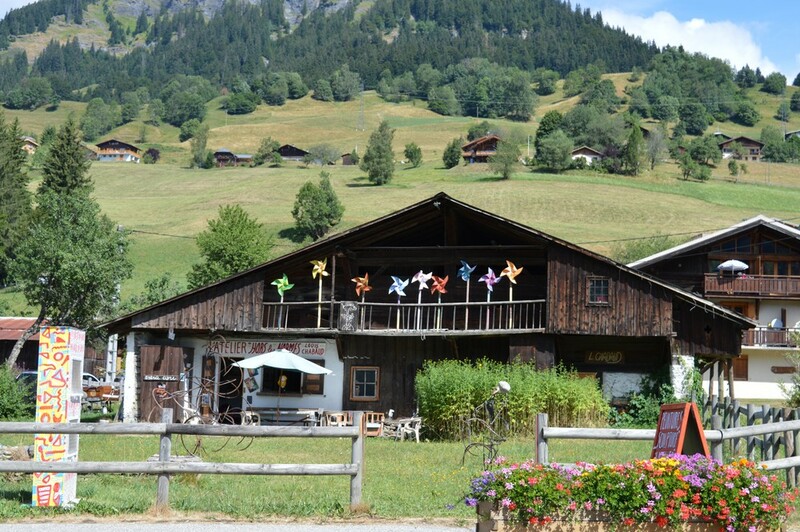 The talent of Praz and its neighbours exhibiting the creations of the inhabitants, a solidarity effort. Praz knitting bee or “Linking Roscoff to the Island of Batz” with an association from Roscoff (the two communes are twinned). 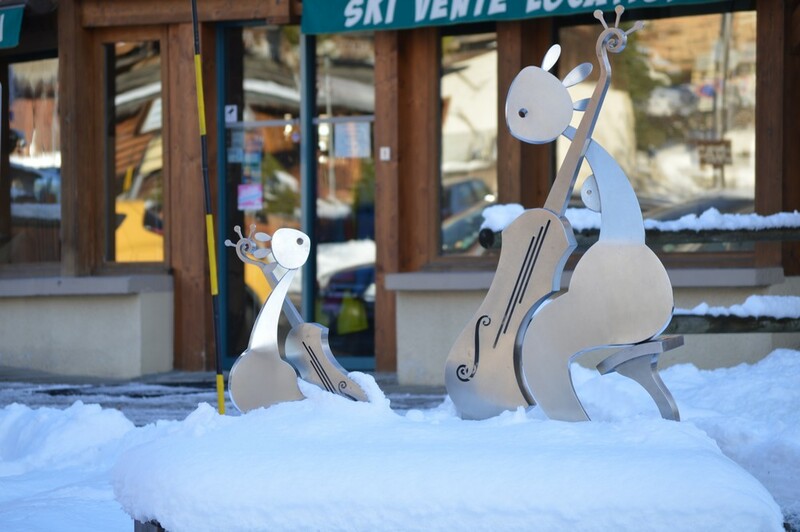 At the moment: Come and discover the Stratos exhibition – in the village and also on the ski slopes! – which consists of a series of 12 sculptures on the theme of family happiness. The Meurets Farm. Louis Chabaud, artist and sculptor, settled in Praz-sur-Arly in 1972 with his wife Paulette, a teacher. Although steeped in impressionism from an early age, he quickly turned to outsider art and became one of its recognized experts. He sculpts, paints, draws, experiments, mixes and his work is imaginative, colourful and constantly renewed. Nowadays he works with glass and ceramics. President and founder of Praz-les-Arts, he organized the first outsider art festival in Praz-sur-Arly. Address: 17, chemin de Meuret, opposite Intersport, between Belambra and Chantalouette camping ground. This little gem of a gallery houses the works of 26 artists selected with taste and passion by Céline Combes. She is an experienced gallery-owner who works with well-known contemporary artists as well as with new artists whose talent will no doubt soon make their fame. The diversity of the artwork means there is something to satisfy all tastes and all budgets. Several artists joined the Gallery this winter. Among them, the great Yoël Benharrouche whose exceptional terragraphs are exhibited here. We also note the arrival of Xavier Huchez, whose work with light is superb, or the animal painter Philippe Thunot, a champion of hyperrealism. They join other artists who have been exhibited for longer, like Véronique Ziminski, Jean-Marc Severus, Alex Bertaina, Claudio Perina, Christian Michel, Jean-Yves Bernard and Anne-Isabelle Roubaï.